Hike POS works on iPad, PC and Mac. Data syncs to a central database in the cloud so you can use any/all supported devices in your outlet/s. You can sell even if your internet is down. When your internet is back, transactions are automatically synced back to the cloud. Hike lets you customise product options, tax rules, receipt content, categories, layout and much more. Hike POS works around your setup, not the other way around. Tap, search or scan barcode to add items to the shopping basket. Take your Hike iPad point of sale register to your customer, and accept orders anywhere. Apply discounts to an entire sale or simply alter $ value for particular product line items. Park orders for later fulfilment. You can also park lay-by orders with partial and periodic payments. Every once in a while you may require to add custom sale items on the fly right at the checkout. Hike lets you do just that. When ready to take customer payment, simply click on pay, take payment, pops open the cash drawer and receipt is printed. The seamless process means faster moving queues and happier customers. Attach notes to any order items so tracking special requests is easier. No more ‘Oops, I forgot!’ moments. Hike fully integrates with renowned in-store payment providers like PayPal Here, Tyro and iZettle. Prefer to stay with your existing card processing terminal? No problems! With Hike you can track card payments made using an external card terminal. Sell gift cards, that your customers can use as payment method. Track gift card usage and balances. Sell on account, automatically post outstanding sales data to your Xero or QuickBooks Online accounting system. With ability to park orders with partial payments, you can accept deposits and lay-bys. Create and track custom payment types e.g., Cheques. With Hike, all paid plans come with unlimited products. No hidden surprises here. Easily setup product variants such as colours, size and material. Manage bar codes and stock at variant levels. Use our product import template to build your product list in minutes. Import all products at once – your POS will be sales ready in hours, not days! Manage stock down to variant, track stock levels, transfer inventory between stores and manage purchase orders. Generate full or partial stock-takes. Take iPad register on warehouse/shop floor with you to take count and instantly enter it in the system. Whether you sell in-store, online or on-the-go when a transaction is entered, inventory gets updated everywhere, instantly. Sync all your products from Hike and take your integrated online store live with few easy clicks. Your products, inventory, order management and customer records are automatically streamlined. No more multiple inventories or guesswork. Whether you sell in-store, online or at an expo, your central inventory updates automatically. All orders come through to your Hike register. So, whether order was placed in-store or online, your staff have to use only one system to process. Manage cash float including tracking of all cash amounts added to and removed from cash drawer. Generate daily totals shift reports to keep track of all payment types and transactions including cash, cards, gift cards, on account sales and returns. You decide what each of your team member can see and do in your POS system. Effectively log all changes and transactions with individual staff PIN. Before closing your register, simply add current values by denominations and Hike will save totals, discrepancies and counting in shift reports. Simply scan order receipt to view the past order or search it using customer or order numbers. Refund past orders to the customer using original payment method. Hike keeps track of all daily transactions for every sale, payment & refunds. Centrally managed customer profiles whether they buy with you in-store/s, online or both. Know your customers better with complete (in-store & online) purchase history linked to their profile. Bring your existing customers list to Hike with easy CSV import. Run a powerful & flexible loyalty rewards program and win their repeat business. Hike helps you understand your business better so you can positively influence your sales, service quality and costs. Hike keeps track of all daily transaction for every sale, payment & refunds. Hike grows with your business. It takes only minutes to set-up and start using new outlet, pop-up store or a warehouse. Generate a consolidated report to see how your business is doing in general and you can also drill down to a particular site level. Access these real-time reports from anywhere in the world. One customer profile for all locations means ease of use, centralized loyalty rewards, no duplication and effective customer analytics. Same applies for products too – how cool is that! Easily specify who works at which store for access permissions and roster setup. Administrators get to access all outlets and registers. Manage separate inventory for each and every store location. Hike will automatically post transactions, customer records, daily totals and other data to your accounting system. Save time & money by integrating to Xero and QuickBooks Online. Hike fully integrates with Shopify, BigCommerce and WooCommerce. Sync all sales, inventory and customer records. Hike is far more than just a beautiful iPad POS. It’s a complete retail POS system with integrated scanner, printer, cash drawer and payment processors. So, you can handle all situations around your sales scene. It’s a complete retail solution designed to create a customer-friendly business environment without taking focus from what it is about – your business. Prepared by retail experts, our step-by-step knowledge base docs and user guides are available online. Useful video tutorials to help you and your team get started with Hike. This will help your new staff members to virtually train themselves without any help from you. The Hike support team is available 24 hours a day, 7 days a week, by email and live chat. Everything from sales and inventory management to integrated payment processing. Can I use Hike POS with touch screens? Yes, surely you can. Hike can be used on any computer or device with internet connection and a browser. Hike is also available on a native iPad app downloadable from iTunes store. Why Hike is a lot cheaper compared to its competition? Are there any hidden costs? Let’s just say that Hike is not cheaper, it is more cost-effective. Normally, a cheaper product would come with a catch, features limitation or hidden costs. None of these apply to Hike. So, Hike is surely an efficient, feature-packed and a cost-effective option compared to its competition. I am currently using another system. Is it easy to migrate my products and customer data to Hike? Migration from another system to Hike is very easy. You’ll simply export your customer and products data from your existing system and import that in Hike with Hike’s bulk-import feature. For example, if you are currently using a system like Vend, Retail Express, Shopify or Light Speed, you can export your data from those systems. If you require, we also offer free help with data migration. Simply contact our support team and they will have you up and running on Hike in no time! How does Hike compare with other POS systems? 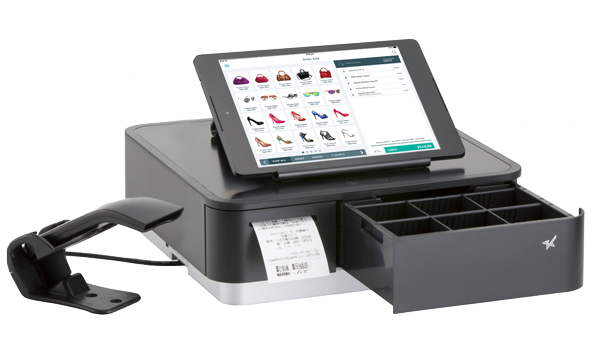 Hike is your next generation POS system with tons of features and attractive price tag. Hike takes advantage of cloud technology to avails many great retail and analytics features previously only available to enterprise customers through traditional high-end POS systems. Hike works online and offline and it is all you need to sell in-store, online and on-the-go so comparing Hike with outdated costly traditional POS systems will be like comparing apples to oranges. We would say, Hike is one of the best retail management software available out there. However, don’t take our word for granted, take Hike out for a spin and see it for yourself; 14 days free trial is on us, no credit card required.